At first, when I came across this free e-book source, I was suspicious that this website will be our regular free e-book scam full of links that lead to anything, but the e-books. However, after some quality time spent on Open Culture, I was impressed by the textbook section. To access it, press “Textbooks” on the right top corner. Though, the list of free textbooks is not very extensive, the variety of subjects is pretty nice: Linguistics, Physics, Mathematics, Political Science, Music, History, Biology, Economics & Finance, Engineering, Earth Science etc. The textbooks are offered in various formats. The reason for this is that the books are hosted on different servers. This is a well selected collection of links that lead to text-books’ locations. For example, A Textbook of the History of Painting by John Charles Van Dyke is actually located on Project Gutenberg site. Hence, there is an option for downloading it in MOBI format for your Kindle. Introduction to Physical Oceanography by Dr. Robert Stewart is hosted by Texas A&M University and it is in PDF format. Calculus by Gilbert Strang is offered by MIT in PDF format. Also, Open Culture collects the list of the usual classics and links for free audiobooks. Open Source’s list of textbook perhaps is one of the better lists I’ve seen so far. Hopefully, you kindlized students out there will find this source useful. Happy studying! 2) free e-books are popular among readers. Where do I see these people? Well, they tend to hang out around Kindle-related websites leaving vehement anti-free e-books comments here and there. You probably know what I’m talking about. To my astonishment, I discovered a common trait among the free e-book haters (how about I just call them FEH): they tend to be authors themselves. So, why would the wise writers be so against the fact that their fellow writer decided to offer his/hers work for free? It appears that FEH perceive readers as ungrateful, evil crocodiles who only want to consume free stuff and never pay for the literary labor. Well, that’s just silly! A thankful reader, who enjoyed a freebie will always go looking for more books by the author he/she enjoyed. So, I have a theory. You see, FEH usually are recently sprouted authors with one e-published work, with some useless subject matter, say How to Choose Your Paper Mate Pen Wisely: a Very Thorough Guide (sponsored by Paper Mate). So, if they put their sole literary child out there for free, then how would they make their first billion? And that’s how we get “Free e-books spoil people! Let’s close all the public libraries!” (© imaginary FEH). Of course, this theory relies on a completely hypothetical situation, which is most likely absurdly inaccurate. However, the point is that Amazon (NASDAQ:AMZN) influenced publishing towards making it more accessible. As a result, the modern literary world not only expanded, but also became more commercialized. There are many emerging authors, who write not for the love of writing, but for the chance to “win” a lottery in publishing business. And the concept of free books is just standing in their way. I hope I’m wrong about it. Although, if I’m somewhere close to the truth – dear FEH, your chances to make a fortune on a useless guide will come true only in case if a million of e-book shoppers will stumble and fall on “buy this guide” button. Or, it might be one unfortunate shopper – stumbling and falling a million times. Perhaps, you might need to reconsider changing a profession from a pure business person to a business person, who writes well. And very possibly, the hostility toward free e-books will somewhat diminish in its proportions. How often do you read free e-books on your Kindle? Always? Most of the time? Sometimes? Rarely? Does the fact that the book is free, make your reading process more enjoyable? Yes? No? Maybe? As I’m looking for different sources for free e-books libraries, I come to conclusion that every single source for free e-books has some disadvantages. Aside from Project Gutenberg and ManyBooks.net (most of its books originate from Gutenberg), all of the free e-book libraries are highly commercialized. It really depends, which way a website owner decides to go – either infest a book catalogue’s pages with ads; create membership fees to highly disadvantage free membership’s choices; or even insert advertisement pages in the “free” e-books. Of course, it’s understandable. There is absolutely no profit for these websites’ owners to invest their time in producing high quality free e-books. So, the free e-books theme is just a way for many to bring users to the website. And advertisements are their actual products. I see so many fake free e-book sites without real content – it’s starting to get on my nerves. It appears that all the domain names with “free e-books” are taken for these exact purposes. To find one site, be it with ads, but containing actual e-books, I go through ten fake ones. I mean, really, ginormous kudos to Gutenberg for doing what they are doing. And if you are feeling generous, I do encourage you to make a donation to Gutenberg Project to keep them alive. It is tax-deductable. Another issue with free e-books is that, of course, they are poorly edited. 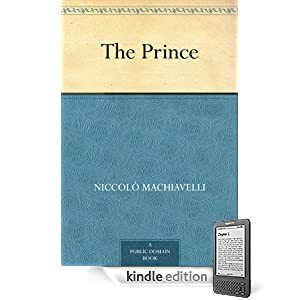 Even Amazon freebies’ content suffers in the quality: as some people noticed that most of Amazon Free Kindle books have editing errors (such as missing passages). Also, my beloved Gutenberg’s e-books are not all perfectly formatted. Do you notice when a book is poorly edited? Does it bother you much? This source for free e-books, articles and academic papers will probably be appreciated by very particular type of readers. Sejarah Melayu Library’s resources focus on Malay Archipelago (also called Indonesian Archipelago) and surrounding areas. 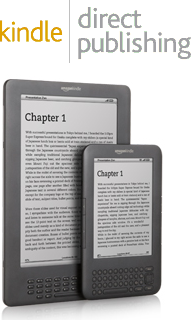 All e-books, articles and academic papers are available for your Kindle for free and in .PDF format. General section contains miscellaneous materials on Malay Archipelago that (I am guessing) do not really fit into other categories. Histories and Other References focuses on history and geography. Travelogue is self-explanatory: travelers’ notes about Malay Archipelago. Language section contains dictionaries & free grammar e-books. Fiction consists of novels, fables, poetry and other literary materials that have connections to Malay Archipelago. Papers and Articles section has journal articles and academic papers available for downloading. News and Dispatches has historical newspapers, gazettes, chronicles, and reports. The layout and navigation for Sejarah Melayu Library is straightforward. Notice that you need to press the tiny plus signs in the menu, instead of the titles. There is no registration required to use these materials. All documents I checked out were in good quality PDF. I think, this is a precious source for the scholars doing a research on Malay Archipelago; intrigued travelers planning to visit the area; and those hungry for information polymaths. The Malay Archipelago, the Land of the Orang-utan and the Bird of Paradise; a Narrative of Travel, With Studies of Man and Nature Volume I by Alfred Russel Wallace (Volume II is also available for free); Through the Malay Archipelago by Emily Richings; and Blown to Bits The Lonely Man of Rakata, the Malay Archipelago by R. M. (Robert Michael) Ballantyne. 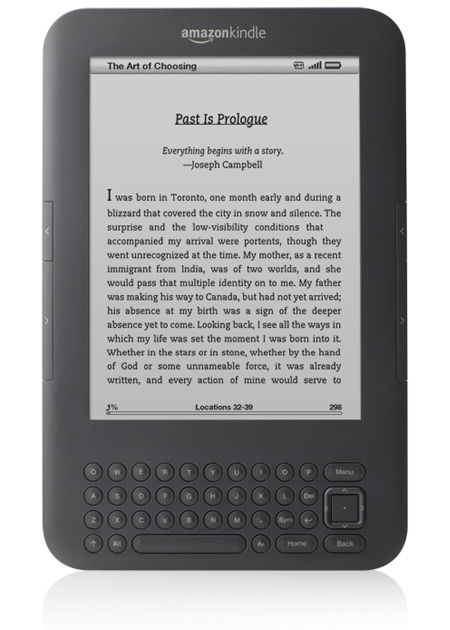 If you’ve been in relationship with your Kindle for a while now, then there is nothing new for you in this post. If you are new to the whole e-books searching process, then I will be proud to present you the best source for free e-books available on the internet. Basically, the biggest chunk of free Kindle e-books is resting on the backs of two elephants: the aforementioned Amazon’s free e-book collection and Gutenberg project. Gutenberg is the most gorgeous e-book project I have seen so far. It is almost twice as large as Amazon Classics. There is no registration needed for downloading e-books. There are no flashing and eye-irritating advertisements (compared to other free e-book libraries). Gutenberg e-books are available in Kindle-friendly .MOBI format; and usually, there is an option, whether you want to download a book with or without images. Aside from the enormous collection of classics, Gutenberg has an impressive collection of books in foreign languages – Spanish, Greek, Latin, Russian, German, French, Japanese etc. 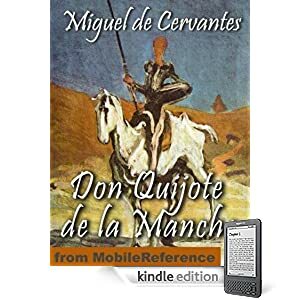 Maybe I will finally fulfill my dream to read Don Quijote in the original. It has the majority of well-known old texts, so if you are a History student – you will always be able to find some works of such authors like Herodotus, Thucydides, Plutarch etc. The universal problem with the quality of free e-books does not escape Gutenberg. 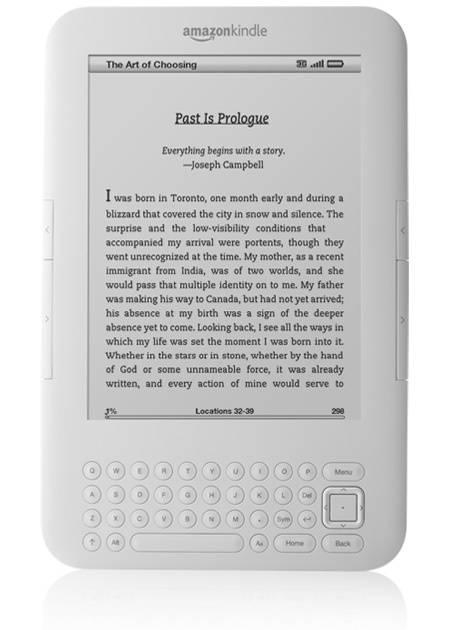 Most books are converted in MOBI format automatically, so there is no guarantee that the e-book will look perfectly on your Kindle. Forgotten Books was recommended to me by a reader, Glynn, who, I’m guessing, is affiliated with this company. Forgotten Books is an independent publishing company focused on reviving old print. To tell the truth, I do not really like what Forgotten Books is doing with their free e-books feature. And the reason being – their free e-books are in low quality .PDF format. To attain a copy of a high-quality .PDF, a person has to pay a membership fee. 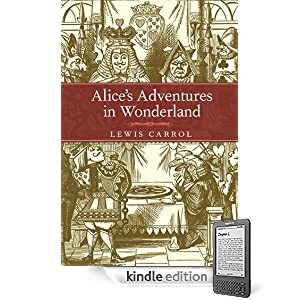 I have hard time understanding, why Forgotten Books are trying to charge for better quality .PDFs for the books that are free from copyright and generally available online for no cost. Although, they do have this e-book of the day for free feature – if you sign up for their subscription, you can download their book of the day in good quality .PDF for your Kindle for free. Today’s book of the day is actually the reason, why I changed my mind and decided to write about this source. Today’s book of the day is Folk Tales From the Russian by Verra Xenophontovna Kalamatiano de Blumenthal (first published in 1903). The Tsarevna Frog, Father Frost, Baba Yaga and other awesome fellows! This book is also available on Google Books (in .EPub and .PDF) and on Surlalunefairytales (online only) for free. Also, it is available on Amazon for $1.75. Russian Folklore tales are wickedly good. I sincerely encourage you looking into them. 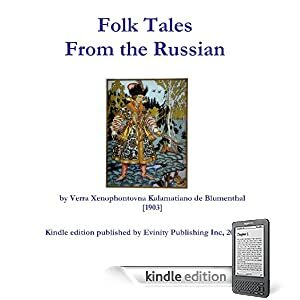 So, I signed up for the subscription and downloaded Folk Tales From the Russian from Forgotten Books. I have to say that putting a line through the e-book is very uncool of you, Forgotten Books. Google Books’ version of this book is way better quality. Perhaps, Forgotten Books’ other books of the day will be as cool as today’s. And I hope they will improve their not-so-reasonable-for-now free e-book offers. 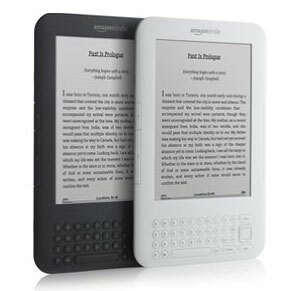 Feedbooks is a book store, selling books and e-books with an unpredictable price deviation in comparison the Kindle Books on Amazon. Some books are cheaper and some books are more expensive than Amazon’s selection. So, before buying a book from Amazon, perhaps, you would want to check it out on Feedbooks first. You might save a dollar, or two. Or not. However, e-books are being sold all over the internet. Finding places where to buy e-books is not that challenging any more. So, from this point of view, Feedbooks’ selection of priced books is not much of an interest for me. I’m on the quest of finding free e-book libraries for your Kindle. And if you click on “Public Domain” section, Feedbooks provides a limited, but still worthy of checking out selection of free e-books. The registration for downloading the free e-books is optional. Once you found that special book for your solitary enjoyment, do not press “download” immediately. It will automatically download the e-book in EPuB format. Click on the book’s title and then you will have a choice of downloading the book in PDF or “Kindle” format, which is actually .MOBI. As I already said, by all means, it is not a large free e-book library. 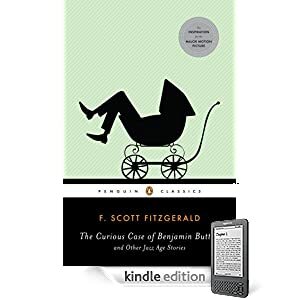 However, you can still find Fitzgerald’s The Curious Case of Benjamin Button, which is not available on Amazon for free (the prices vary from $0.95 to $11.99). Also, there is Cory Doctorow’s I, Robot available for free (not available in Kindle Books on Amazon). 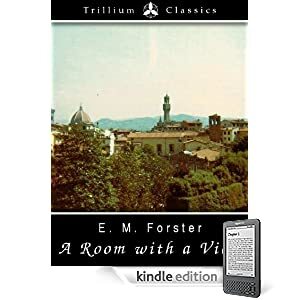 And those, who complained about free Kindle Edition of E. M. Forster’s A Room with a View (missing passages and such), give it a try to this version on Feedbooks, maybe it is better. I am slightly disappointed with www.free-ebooks.net for trying to rip off fellows Kindle-ers, but it might be useful for someone, so I will hide my judging stare away. I have many problems with this site. The first one is the domain name – “free ebooks” is kind of a way overboard name for a site with such limited availability of the actual free e-books. Another issue with this site is that .MOBI format is available only for an upgraded membership. They have e-books in .PDF format for no charge, but here is the catch – you can download only 5 books per month for free. One more minor annoyance: they require users to register for downloading e-books. Also, the site’s content is poorly edited – some book titles have typos, sometimes authors’ names are missing and so on. So, yes, the site is limiting from all ends. However, the selection and variety of the books is quite large. The library is not restricted by the usual classics, to the availability of which we are so used to. 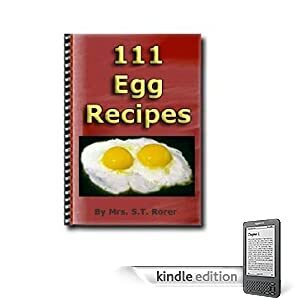 I enjoyed the quantity of “100 Recipes of Something-Something” type of cook books: 111 Egg Recipes, 300 Chicken Recipes, 300 Recipes for the Grill and so on. I also liked the selection in the Tutorials section. There are books like: Build Your Own Home Theatre, An Introduction to Pipe Band Drumming, or even How to Create a Garden Pond. Hence, if you are looking for a very specific book, this is a good back-up source.